The merger between hotel giants Marriott International and Starwood Hotels and Resorts Worldwide will result in the construction of 22 new hotels in the UAE alone. The new properties – which will also bring 6,000 new jobs to the UAE – were confirmed by Alex Kyriakidis, President and Managing Director, Middle East and Africa for Marriott International. Kyriakidis said the new jobs will be created over the course of the next four years with a total of 30,000 being created in the Middle East and North African (MENA) region. The $13 billion acquisition of the Starwood group on Friday means Marriott International now counts hotels such as the Sheraton, Westin, W and St Regis in its portfolio. Marriott International said the merger makes it the biggest hotel operator in the world. 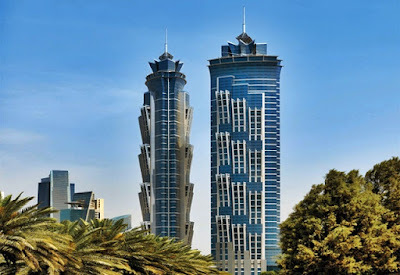 Speaking at a news conference at Dubai’s JW Marriott Marquis, the company’s flagship hotel in the Middle East, Kyriakidis said he is confident about the future of the company. “Each and every employee has a bigger and brighter future now,” he said. “We are now by far and away the largest operator in the MENA area with 52,000 rooms. We are also leading the pack in the UAE and will have 80 properties there by 2025 with more than 23,000 rooms. At the moment, there are 58 properties with 17,000 rooms.” He said the merger with Starwood means Marriott International has taken a huge leap forward in terms of scale. The merger was completed on Friday night. Kyriakidis described it as an opportunity that could not be missed. “I remember just one year ago us sitting around a room and being invited to pitch for the Starwood group,” he said. It has been confirmed that both schemes will remain intact – but customers will be able to interchange between the two.